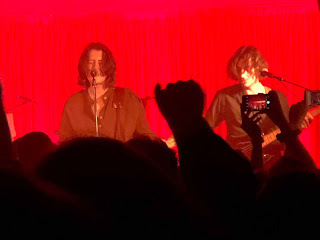 "This is a better Monday than you thought you'd have" laughs Tom Ogden half way through Blossoms' intimate warm up show for their UK tour at Manchester's newest venue Yes to two hundred or so lucky people who'd either been in the proximity of the venue at 3pm when tickets went on sale or had pleaded their way on to the guestlist. 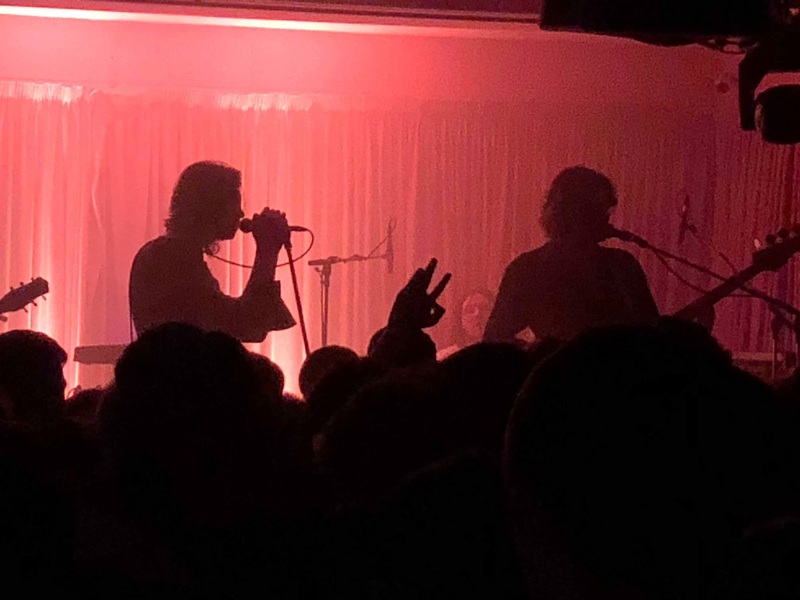 Their most intimate show in Manchester since the days of Sound Control and Night And Day at the tail-end of 2014 saw them run through the set for their sold-out upcoming UK tour. Whilst the press throw all sorts of ridiculous plaudits at The 1975's art-school pretence and claim them to be the new Beatles and other such outrageous propositions, there's another band from Greater Manchester who are making the real connections with the young gig-goers, creating songs as timeless as those that precede their set and have the audience threatening to lose their voices before Blossoms even make it to the stage. Blossoms write songs you can relate to, young or old. Tom Ogden's songs come from his own experiences or observations of those around him. That's one reason why the likes of My Favourite Room, Unfaithful, Honey Sweet and (There's A Reason Why) I Never Returned Your Calls make such a connection; the other being that they are the next in line in the genesis of music from the North West that boasts names such as Joy Division, The Smiths, The Stone Roses, James and Oasis. They're different of course, as the world and the music business have moved on and demands are different, and time will tell if they have the longevity and lasting influence of them, but that sense of something that has risen from the small venues of the city to where they are today is undeniable. Tom doesn't say a great deal tonight, other to introduce the band, including a touring guitarist called Charles from Paris, quickly slapping down a few inappropriate shouts from the audience (along the lines of the ones Scouser Miles Kane got at the Academy on Saturday) before ironically diving into The Smiths' Bigmouth Strikes Again. They don't need to say anything though, just play. Cool Like You might not have had the benefit of the debut having a series of big singles leading into it, but it's a far more rounded album than its predecessor and the songs from it show a band developing and growing as their popularity sky-rocketed. 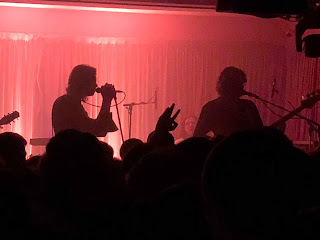 Between The Eyes is stretched out into something resembling the psychedelic direction of some of their earliest songs whilst Unfaithful, Cool Like You and (There's A Reason Why) I Never Return Your Calls show that they've got the ability to craft three and a bit minute gems that sound equally at home on radio as they do in front of an expectant buzzing adrenalin- and otherwise-fueled crowds. Love Talk is every bit as blissfully romantic and reflective as Blown Rose which follows it. 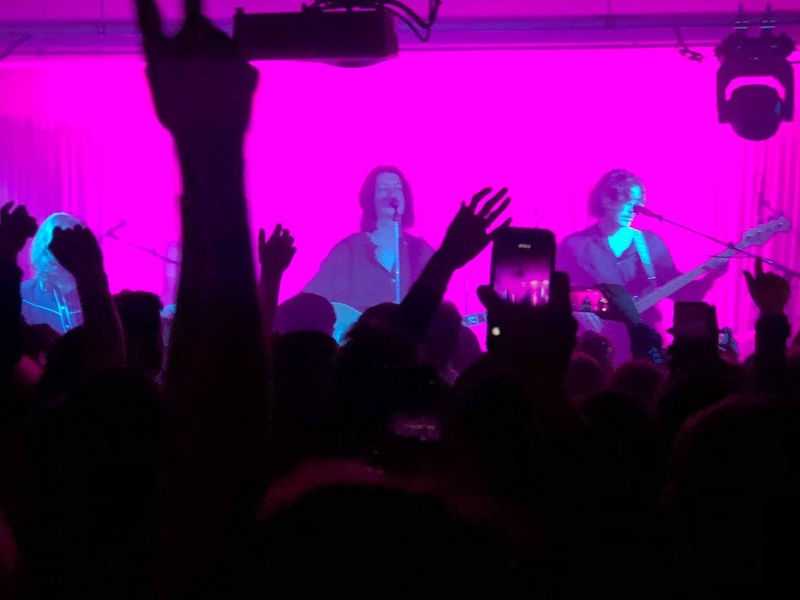 Blossoms have long since outgrown venues like this, but they still buzz off the excitement of seeing the whites of the eyes of their crowd, something you don't get in the academies and arenas they're selling out way in advance. Holding an audience's attention for an hour and a quarter these days is no mean feat in a world of Spotify playlists and the next big thing every week, but Blossoms show it can be done by playing the games you need to these days but without sacrificing your integrity by creating music that will stand the test of time rather than the fleeting three minutes it's placed in front of you. It's a night that'll live long in the memory of those fortunate enough to be there. They played I Can't Stand It, Blow, How Long Will It Last?, Getaway, I Just Imagined You, Love Talk, Blown Rose, Honey Sweet, Cool Like You, Stranger Still, Between The Eyes, My Favourite Room (You're Gorgeous / Last Christmas / Half The World Away), At Most A Kiss, Bigmouth Strikes Again, (There's A Reason Why) I Never Returned Your Calls, Unfaithful and Charlemagne.